After lunch we returned to the sunny streets and because of earlier confusion retraced our steps a couple of times on our way back to the cathedral. Kim refused to take charge of the map for fear that her earlier good fortune might be exposed as a fluke and I took over again on the way to the Jewish quarter. 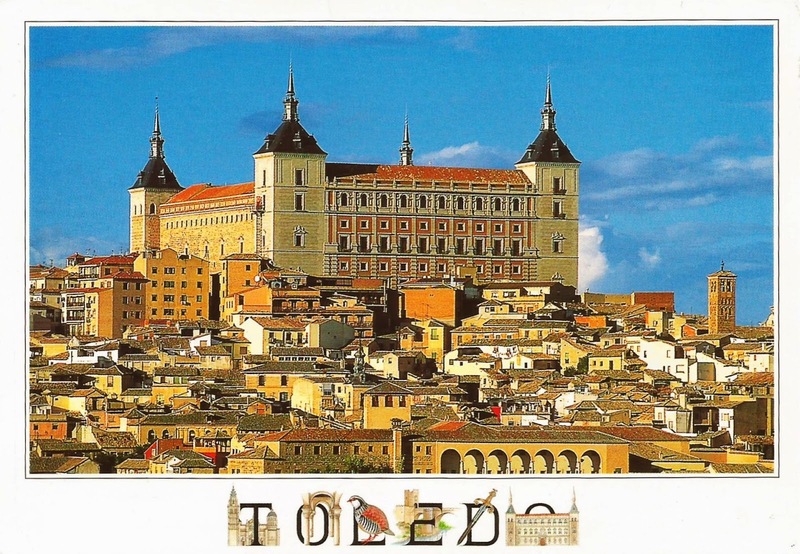 In the past Toledo had changed hands many times and it was renowned for its diversity and religious toleration and we found the synagogues with admission prices that put us off entering and then after walking through a warren of mazy streets came out on the other side overlooking the modern town to the north. This entry was posted in Europe, Hotels, Spain, Travel, World Heritage and tagged Chinchon, Spain, Three Musketeers, Toledo, Toledo Steel, Zorro. Bookmark the permalink.